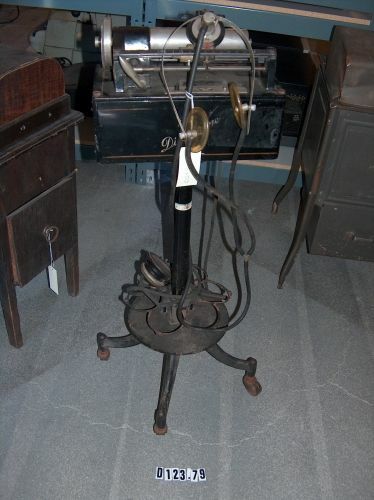 This artifact consists of two items: 1/ a desk set to be used by the boss to dictate and 2/ a floor standing playback model for use by the secretary's desk. Play back unit sits on a wheeled pedistal and consists of dictaphone, earphones, and a detached foot pedal. Dictating unit consists of recording device with a plastic (Horn? tortise shell?) mouthpiece.